It was a pleasure to work with our client to see her create the look she wanted to achieve with her stylish dining chair upholstery. 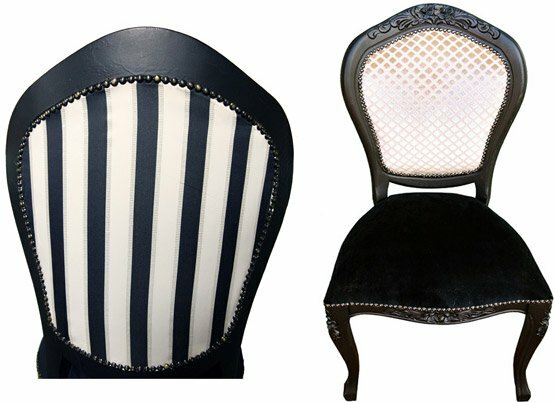 The chair seats were upholstered in black velvet with gold and cream pattern on the seat back while the back of the chair was upholstered in black regency stripe. The look was completed with many black chair nail studs around the upholstery. This custom design could only be achieved by engaging the services of a qualified upholsterer.